2018 was a record-breaking year for famed DJ/Producer and EDM heavyweight Artem ‘Arty’ Stoliarov a.k.a. ARTY. 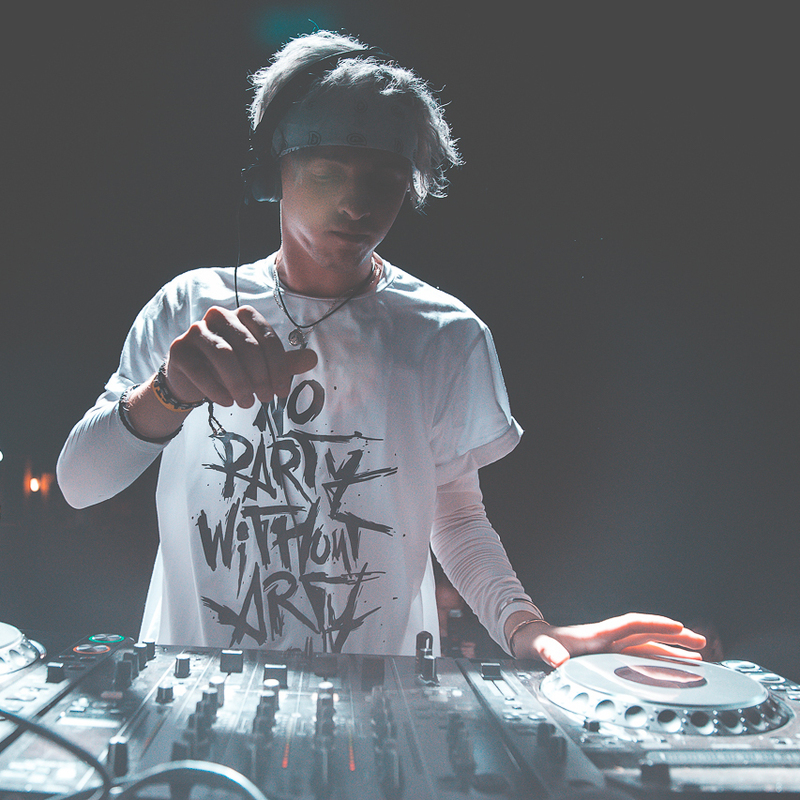 After starting 2018 with his single “Sunrise” going to #2 on US dance radio, and then closing the year with “Velvet” released on Ninjawerks — the first ever EDM and gaming collaboration soundtrack — ARTY continues to shock the dance world. In 2018 alone he released 20 new songs between his two projects: ARTY, and progressive trance-focused, ALPHA 9, including incredibly successful remixes for Skrillex, Above and Beyond, Axwell /\ Ingrosso, and Armin Van Buuren — making him #1 in 2018 for most releases by any EDM artist. With an XS Encore Las Vegas residency under his belt, and a pedigree of performances at Ultra, Electric Daisy Carnival, Tomorrowland, Ushuaïa, Amnesia Ibiza, and Creamfields, Arty has established himself as one of the music industry's most consistent artists, a prodigious talent, and has become a go-to for others artists, crafting immensely popular remixes for Skrillex, Axwell /\ Ingrosso, Armin Van Buuren, Halsey, OneRepublic, London Grammar, Above & Beyond, Porter Robinson, and Years & Years. Sign up with your email address to receive exclusive ARTY news and updates.